Benchmark for Business offer a range of event sponsorship packages including exhibiting and media partnerships for our programme of world-class management conferences. With regular audiences of some of the UK’s most influential senior executives, we have a strong track record of providing excellent platforms for brand building. We currently have exciting opportunities to sponsor our 2015 programme. For further details please click here. 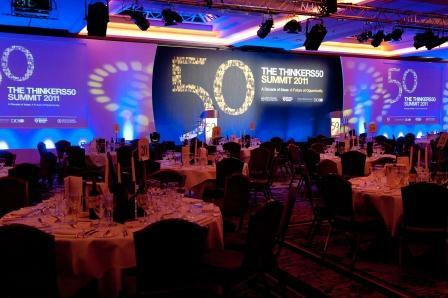 Image from our recent Thinkers50 Summit held at the Lancaster Hotel in London.